We are proud to serve Sydney Brewery craft beer and cider across all of Fairmont Resort and Leura Golf Club. 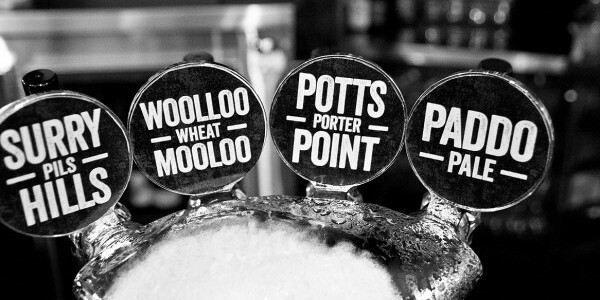 Lovingly hand brewed, each Sydney brewery beer is specially designed with a unique personality and style. For a refreshing summer drop we recommend the award-winning Lovedale Lager best enjoyed relaxing in the sun on the Golf Club Bistro deck. Or for a winter warmer, you can’t beat a smooth Blaxland Black by the fireplace in Sublime Lounge. Ask one of our friendly staff for the full range of Sydney Brewery boutique beers and cider on offer.